The Haftorah’s Connection to Sukkot: This section from Ezekiel was selected because it discusses the war to end all wars, the War of Gog and Magog or Armegeddon. It is belived by some that this war will take place during the month of Tishrei and possible on Sukkot. That is why we read this Haftara on Chol Ha’Moed Sukkot. Summary of the Haftorah: This Haftorah deals with the war of Gog and Magog. Gog will be the leader who will rule over a people or country named “Magog”. The name Gog means “the dreadful one”. It also discuses Gog’s punishment. The Haftorah also talks about the vast supply of firewood after the war from all the left over weapons. It also discusses the burial of Gog’s armies. The Story Line of This Weeks Haftorah: Gog will invade Israel with a tremendous army, consisting of people from all the other nations of the world. Their intention is to destroy or capture Bnei Yisrael, preventing the final redemption. Hashem’s anger, which has been hidden during the exile, will be clearly seen and will openly show miracles which will destroy Gog’s armies. There will be thunder and lightning, followed by an earthquake. Some opinions say that “Earthquake” means immense fear, but others say it should be taken literally. Gog will still feel secure with his weapons and will still try to invade Israel. Hashem will make the whole earth shake. The armies of Yishmael will turn against each other, overcome with madness and destroy themselves, while the armies of Edom (who according to some opinions is Rome) will suffer from plagues as retribution for what they did against the Jews. The plagues will be stronger than the ones from Egypt. Bnei Yisrael will take all the left over weapons from Gog’s armies and use the wood for firewood, and melt down the metal as well. There won’t be any need to cut down any more trees for firewood because there will be so many weapons left over. Additionally, there’s a special reason that the pasuk emphasizes that the Bnei Yisrael won’t need to cut down any more trees. The reason is because in the future, every tree will bear fruit, and it would be Baal Tashchis (Wasting good resources) to cut them down. Biography of Ezekiel: The Biography of Ezekiel: Ezekiel name means "Hashem strengthens" or may Hashem strengthen. He was a Kohen. He was born in the village of Anatot surrounding Jerusalem. His wife died suddenly before his prophecies began. Ezekiel was a part of the 8000 exiles in 597 b.c.e. to go to Babylon. He prophesizes for 30 years, several of the prophecies are date, month and year specific. He was the only person in the Tanach (Bible) to be called "Ben Adam" The son of man. The Book of Ezekiel: Ezekiel wrote his own book that is 48 chapters long. The 1st 24 chapters are about the future siege and fall of Jerusalem. The 2nd part of the book, chapters 25-48 talk of the hope, that Hashem will favor the mountains of Israel and remove the Idol worshipping and repopulate the land. Ezekiel goes on to predict the annihilation of the hostile Heathen nations. We are told about the rejoining of the two halves of the divided Land of Israel, Judea and Samaria. 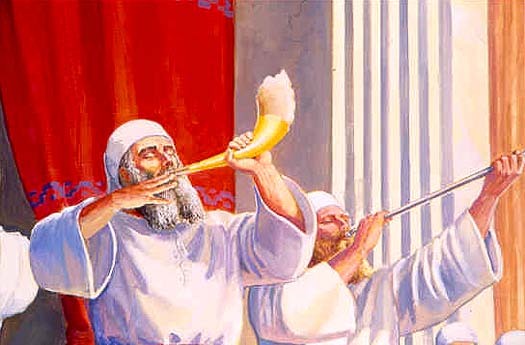 Finally, we hear about the plans for the third temple and a land among the tribes with a President for the people. There are major warnings to the exiles in Babylon, which take place before the destruction of Jerusalem and the 1st Temple. Some interesting parts of the Book of Ezekiel are: The Book of Ezekiel begins with the prophet's vision of the Ma'aseh Hamerkavah (The Throne of Hashem) lifting itself up from the Beit HaMikdash. There is the story of the Valley of the Dry bones and their resurrection as well as the description of the 3rd Temple to be built in the messianic period. Famous Pesukim: Ezekiel 38:24 “Vehitgadalti, Vehitkadashti” , I will be exalted and I will be sanctified.” which is the source of “Yitgadel, Vayitkadash” the two opening words of the prayer said for mourners, the Kadish. Map: Ezekiel was one of the only prophets to experience prophecies outside of the Land of Israel.